At Low Country ENT we provide comprehensive hearing and balance evaluations and treatments. All testing is performed by Dr. Malka and the audiology staff in our North Charleston office. Working along with our medical providers, our audiology department is able to test and treat a variety of hearing and balance disorders in children and adults of all ages. We also dispense and service hearing aids! Today’s digital hearing aids are engineered to be smarter. 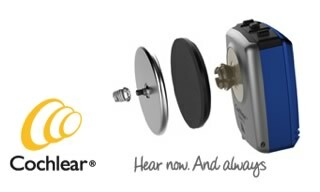 Many listeners prefer “Receiver-in-the-canal” hearing aids for the comfort. They are discrete since there is little to no bulky plastic visible, making them an attractive option. Other styles include completely-in-the-canal, in-the-canal, in-the-ear and behind-the-ear hearing aids. Depending on the level of technology, the devices will automatically adjust depending on the situation whether you are in a noise restaurant or the privacy of your own home. These hearing aids can be as simple as placing in the ear and letting the hearing aids adjust automatically. Those who prefer more hands on control can stream their Androids or Apple devices (iPhones, iPads, Apple watches) to their hearing aids. Hearing aids enable hands free communication in both ears. Apps developed for Android and iPhones enable the phone to function as a remote controlling for volume, bass and treble preferences. The phone also acts as an external microphone useful in noisy situations.